Skratchworx becomes 1 year old on September 9th - and it's been one hell of a year thanks to you guys spurring me on to continue my hard work. But it all costs money. So it's time for skratchworx to recoup some of the costs and take in advertising. Pioneer have announced a new effects box - the efx-1000 and a new limited edition colour scheme for it's existing efx-500 - now tagged the 500R. 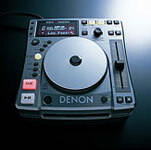 Not wishing for skratchworx to appear like a Denon appreciation society, but some more new product and information has ben released. UDG have made new bags for the DN-S3000 and 5000 CD decks, coloured faceplates will be available soon for the same decks and updated info is available on the firmware updates on the 5000 and X1500 mixer. And... there another announcement today (31st) as well! Very minor site update - check the new header on the main news page. Should clear things up for a few people as to what should and shouldn't be posted. Also, I've added a search feature. Note - it doesn't search comments, just news stories. Hope it improves your skratchworx experience. Well you asked for it and it's finally here - Denon have provided a short scratch demo of the static platter found on the new mini-marvel DN-S1000 deck. Big thanks again to DJ A-L for the link. DMC, in asscociation with Dave Phoenix will be streaming both days of the world finals live to the world - in both audio and video. So the lines are closed and the votes are counted... well not quite but Lil Miss Giz has once again stepped up and picked some winners for the Technics DMC World Championships. Picking up seated weekend passes is Fred from London (so not far to travel there). And sadly standing for the entire weekend is Leslie Patarroyo who is travelling from Florida. Congrats and all that - hope you enjoy the show. And a big thanks to DMC for the tickets! The competition is closed and the names have been picked. This time not by my daughter, but by my old school friend Max - currently visiting the UK shores from his long time home in LA. I fear Max's only reason for coming over is to sample the delights of my Fish Finger and Tomato Sauce butties but he happily stepped up to the responsibility of picking winners. Anyways - congrats to Chris Richard, Dave Murray and Weak Sauce (no doubt ensuring yet more complaints of bribery and corruption). Well done guys and make sure you hunt me down at PLASA. If you were unlucky enough to miss out, there's still a a chance to blag some over at close personal friends and drinking war opponents Spin Science. Hurry - it's but a few weeks away! 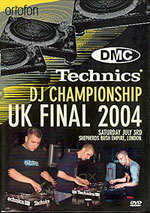 DMC have released the UK 2004 finals DVD. 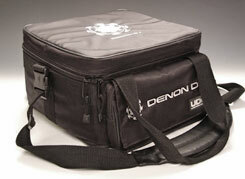 Available now and costing �15 from the DMC Store. A forum - what do you think? Skratchworx is due for an upgrade in the next few weeks - a very small sneak peek of it can be seen on the left. But there's something that has been bugging me for sometime and today's events have brought it to the forefront of my mind yet again. Should skratchworx have a forum? 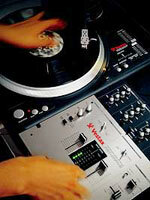 Another Vestax review for you, this time it's the upgrade to the classic PMC 05 Pro II - the FX loop enabled 05 Pro III. 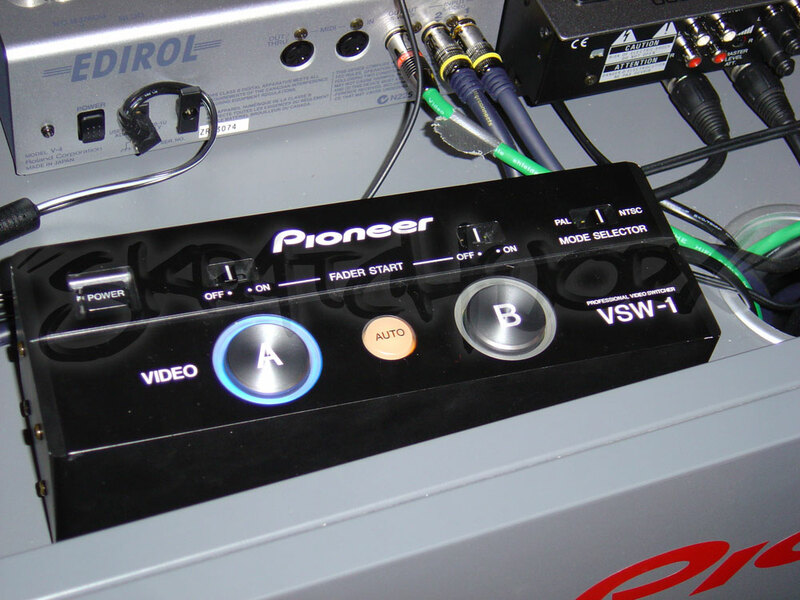 First spied near on a year ago at PLASA 2003, the 05 is a blend of solid build quality, ear pleasing sound and features. 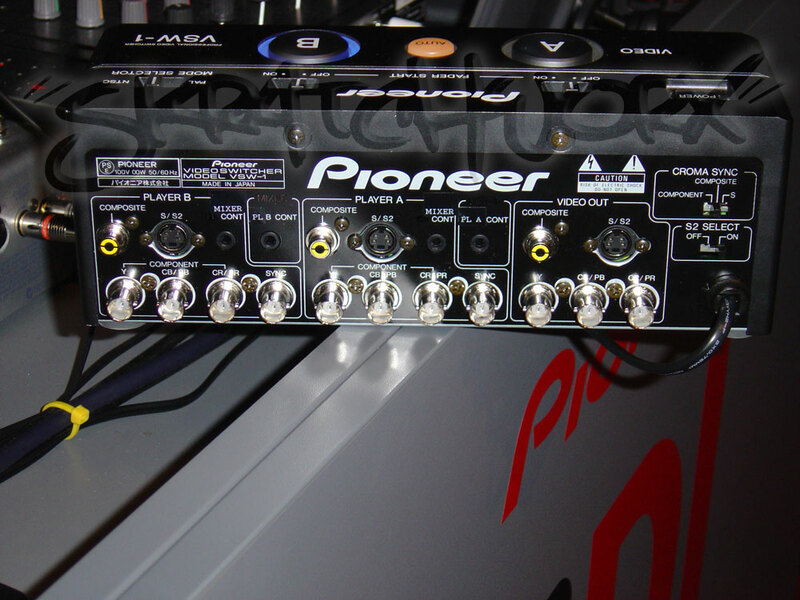 And keep coming back as the 05 Pro SL - the sampling 05 - will no doubt be getting a testing sometime soon after PLASA as well. It's that time of year again. 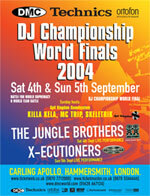 Early September means DMC Technics World Championships and Skratchworx has teamed up with DMC to offer you 2 pairs of tickets for the World finals in on the 4th & 5th September 2004 at the Carling Apollo at Hammersmith, London. In this giveaway competition 1 pair of seated tickets and 1 pair of standing tickets for the weekend are up for grabs. Simply send an email to gizmo@skratchworx.com with "Hi diddly dee, I'm off to DMC" as the subject. Winners will be drawn 21st August. 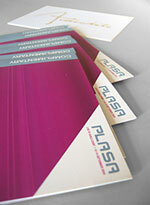 PLASA Competition - Deadline Wednesday! PLASA 2004 at Earls Courts in London gets closer - as does the closing date for the free tickets competition. 3 pairs are up for grabs and are valid for all 4 days of the show. Note - tickets are for entry only - not airfares and hotels! Get your email addresses sent to me with "PLASA COMP" as the subject and you'll get the chance to win. Deadline is Wednesday 18th August. Note - this is a UK based show so unless you plan to be in London between 12th-15th September, don't enter! Screw eBay - Faceplate SOLD! 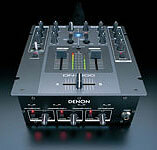 Denon have finally released full details of their long rumoured D-Day products. 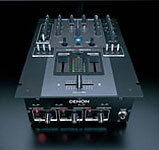 Essentially, we're talking a compact CD/MP3 deck (DN-S1000), complimentary compact mixer (DN-X100)and full size scratch mixer (DN-X300). There's a lot of info to post so I'm going to get this up now and keep adding to it! "Gizmo, I think your readers over at skratchworx will like 8/11." Big words indeed and very intriguing. We can all hazard guesses as to what the announcement will be but what's your guess? All will be revealed on 11th August so be sure to come back then for more hot news.